Have you written a short short lately? Writing a short short can make a writer very picky. Take, for example, creating a story with only 500 words. A real challenge. That means within those 500 words there will be a beginning, middle, and end. Obviously, the writer has to pick what goes into the story very carefully. Other names for it include short-short stories, sudden, postcard, minute, furious, fast, quick, skinny, and micro fiction. In France such works are called nouvelles. In China this type of writing has several interesting names: little short story, pocket-size story, minute-long story, palm-sized story, and my personal favorite, the smoke-long story (just long enough to read while smoking a cigarette). Writers’ groups sometimes run incentives for their members to try the genre and hone their writing skills. The Palm Springs Writers Guild offers a Monthly Writing Challenge to create a 500 word story based on a monthly online prompt. Members place their completed stories in envelopes along with $5.00 and submit them. The authors’ names appear on the envelopes only. Through the contest coordinator, the stories are sent to a panel of three judges. The winner is awarded “the pot” at the next meeting, plus the story is read to the membership. Flash fiction contests can be found online and flash fiction magazines offer publication opportunities as do some traditional journals. 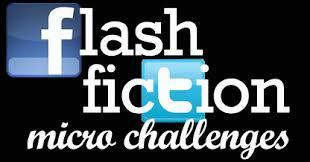 I googled “flash fiction contests,” discovered several that were interesting, and decided to try my hand. It was amazing how many unnecessary words I found, how the three stories could be tightened. The old “less is more.” Two of the segments I worked on became completely new stories. Titles become important ways to help the short short along. One contest editor discouraged the use of one-word titles. The titles I chose for my pieces: Jillie’s Last Slice; A Little French Pastry; and Nell, Rupert, and the Baptists. I’m thinking about placing these stories into the hands of judges, editors, and fate. I like the feel of Gulf Coast, Gemini Magazine, Vestal Review, and Nano Fiction 14. If you want to challenge yourself, try creating a piece of flash fiction either from scratch or from an existing piece. It strengthens your skill of placing the exact word in the exact order, much as poets must do. Action can be implied (see the Hemingway story) or it can be explicit. The big plus is you’ll make important discoveries about your writing. I found the whole process like working a puzzle. Like problem solving. It was fun. It was creative. What do you think? This entry was posted in Creativity, fiction writing, Inspiration, Looking for Inspiration, short story, Writing and tagged Ernest Hemingway, flash fiction, Flash fiction contests, furious fiction, Kurt Vonnegut, micro fiction, minute fiction, Palm Springs Writers Guild, postcard fiction, sudden fiction, the short short. Bookmark the permalink. 6 Responses to Have you written a short short lately? It sounds like fun, I think I will try it – very challenging for me. I like that it has parameters. Great! I think you’ll enjoy the challenge and the fun. 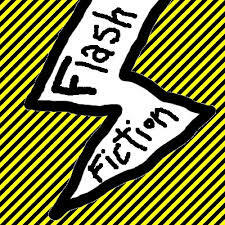 Carol, thanks for this informative piece and guidance on flash fiction. This is an area of writing I’m exploring, in fact I have a piece that I recently submitted to a contest. I will look into the sources you cited. Please keep sharing your expertise. Thank you, Susan. Wishing you well with the piece you have submitted. Writing a flash story is a challenge and fun.